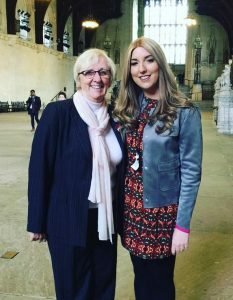 The UK Government has formally acknowledged that more needs to be done for brain tumour patients and their families. Health Minister George Freeman MP announced a package of measures at a Westminster Hall debate on Monday 18th April which was prompted by an e-petition launched by the family of Stephen Realf, lost to a brain tumour at the age of 26, and backed by Brain Tumour Research. Set up a “Task and Finish” working group at the Department of Health looking at areas highlighted by the Petitions Committee report. Request the National Institute for Health Research (NIHR) produce a national register within a year to examine how public funds are spent on research. Seek to improve levels of earlier diagnosis and include brain cancer in the Genomics England programme.